Q: Will my ex filing bankruptcy affect my credit score? This is more of a bankruptcy question than a consumer law question, and I am not an expert in bankruptcy. However, it is my opinon that s long as you make the payments on time, his filing for bankruptcy protection will not affect your credit score. Q: Is there a limit on late fees charged by Municapalities for water, sewer, trash collection etc.? Please let us know which city or town you are concerned about. Q: What recourse does the buyer have when trying to return car 4 months later? Please explain why the bill of sale had your name on it when you were not the owner? Q: Can a judge order a vehicle lien company to remove someone off of the loan? Please provide more information about the situation you are describing. Your question is somewhat confusing because a lender's name is never on the deed. In any event, the best thing to do is to contact the attorney who represented you when you refinanced in 2006. Q: HANDYMAN DIDN'T FINISH A JOB FOR WHICH HE WAS PAID & REFUSED TO RETURN THE DEP. ON A JOB NOT BEGUN. I'M 70 YEARS OLD. Contact the Delaware Attorney General's Office. They have a unit that handles matters like this. Q: I Need a Public Defender for Case against Kustom Auto Services installing a DEFECTIVE ENGINE! HELP!! 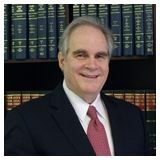 The Public Defender in Delaware represents individuals who are arrested or charged with a crime who cannot afford a lawyer. Based on your reference to a defective engine, the Public Defender cannot help you. You should contact an attorney for help. Q: Is it free if an item rings up wrong at the register? Not unless that is the policy of the store in which you are shopping. Q: Can receive half of my mortage back,if my name was not on the mortage Papers? I wish you had provided more information. I will assume that you are saying that you contributed money toward the mortgage payments someone else owed on a house, that you were not on the mortgage, and that now you would like to get back some of the money you paid. It doesn't look promising for you, but you should contact a lawyer who can get more of the details from you and then give you a more definite answer.